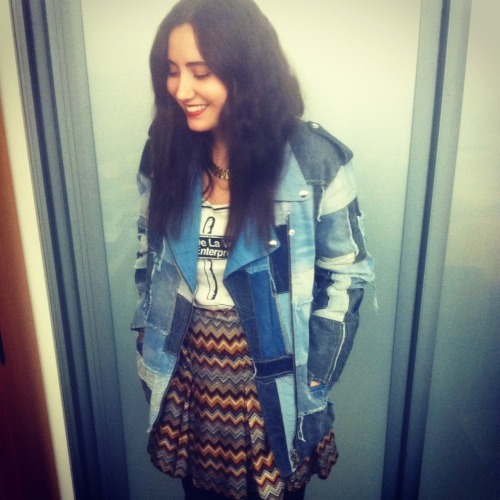 Glamour’s Mollie Maguire modeling Isabel Marant’s perfect patchwork denim jacket. I’m going to creep on Mollie every day now. "If it doesn’t taste like candy or sparkles, I usually don’t drink it." - Taylor is a forever princess.